Sales in the Large Pickup segment grew by 6% in the third quarter of 2017, slightly faster than in the second quarter and pretty much the same as in the first, giving this large segment impressive consistency. With the new RAM Pickup and Chevrolet Silverado on the horizon, things may kick up the gear for the segment in 2018, as it continues to claw back ground it lost in recent years to the Small PIckup and Commercial Vans segments. Sales in the Large Pickup segment grew by 4.3% in the second quarter of 2017, a slight slowdown relative to the the first quarter, but still enough to register a YTD sales rate of 4.9% – much better than the falling market total. In fact, there is a trend emerging in 2017, wherein pickups seem to be regaining what little ground they lost to commercial vans in recent years (at least those pickups that are used for commercial purposes) – both pickup segments grew so far this year, while the commercial vans segment lost volume. 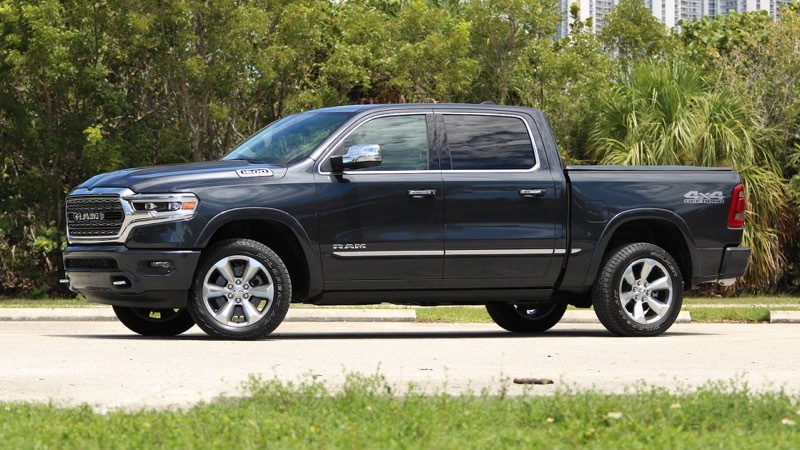 This steady growth trend is likely to continue in 2017, but the arrival of the new RAM Pickup towards the end of the year may result in a quickening of the growth rate in 2018, given how popular the model has been in recent years. Sales in the Large Pickup segment grew by 5.7% in the first quarter of 2017, which again beats the overall market, just like it did in all of 2016. And thanks to the crisis in the midsized sedan segment, US consumers (and businesses) bought more full-sized pickup trucks in Q1 2017 than they bought midsized sedans, until not long ago the bread-and-butter segment of the US car market. That means this segment, with only 6 players, it the second largest segment in the market. 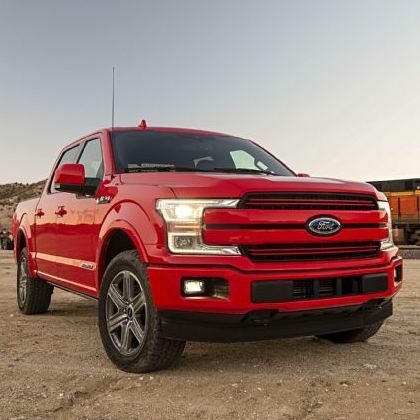 In fact, just the four top selling large pickups sold over half-a-million units in the first quarter, more than the entire 17-vehicle midsized car segment. Last year, the segment recovered to 2006 levels after gaining volume for 7 straight years and it look like low gas prices are going to give it an 8th year of growth, even though the only product news in the segment is the new-for-2016 Nissan Titan. Sales in the Large Pickup segment grew by 2.5 percent in 2016, a slightly faster rate than the market overall, but considerably slower than the Small Pickup segment. That is to be expected – with total sales of 2,242,282 the segment is the third largest, following the Compact SUV and Mid-sized segments, and as such it would be unreasonable to expect double-digit rates of growth. Still, with slowly rising fuel prices pushing customers towards smaller pickups and nothing in the way of new metal arriving anytime soon (other than the continued rollout of new versions of the new-for-2016 Nissan Titan), it’s entirely possible the segment may not gain many sales at all in 2017, or even losing sales for the first time since 2010. Sales of full-sized pickup trucks were down by 2% in Q3 of 2016, after an increase of 5% in the first half of the year. For the first nine months, the segment is up 3% to 1,640,674 sales. With relatively high brand loyalty in this segment, there are no big shifts in the performances of individual models, with only two out of the six models making double digit moves in Q3 and only one in the first three quarters of the year. With both the large SUV segment and the small pickup segment surging in Q3, the contrasting loss of the full-sized pickups may have another reason than gas prices. It could also indicate a lower confidence in the US economy and especially the housing market by construction companies, since sales of work trucks are historically linked to real estate prices in the United States.